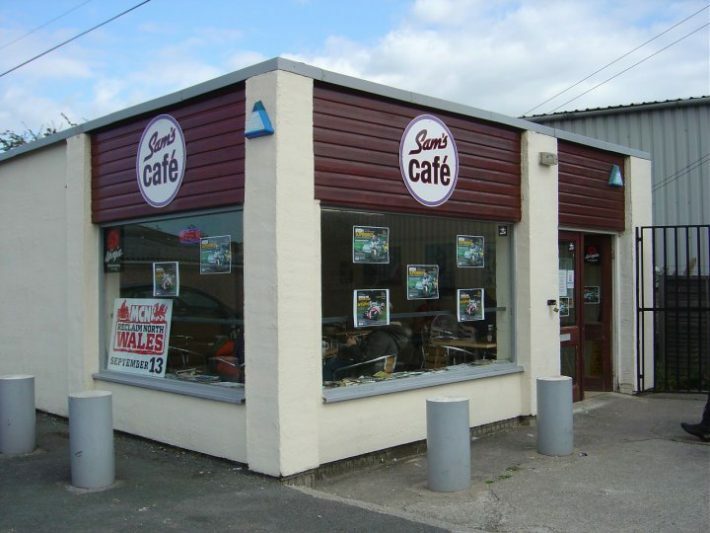 If you’re a regular visitor to A&D Motorcycles then you’ll know about Sam’s Cafe, if not then it’s time to get planning your next ride out. Pop your head in at A&D motorcycles to some fresh kit, a new lid or those spare parts you’ve been looking for and then head over to Sam’s Cafe for a bite to eat and a catch up with old pals. Sam’s Cafe does a wide range of food from fried breakfasts to sandwiches and light snacks. Or you can even just have a cup of tea and sit in the outdoor seating area and take in all the motorbike madness of A&D. Being next to a dealer, there’s always plenty of events going on so it’s always worth checking their Facebook page before you head over!